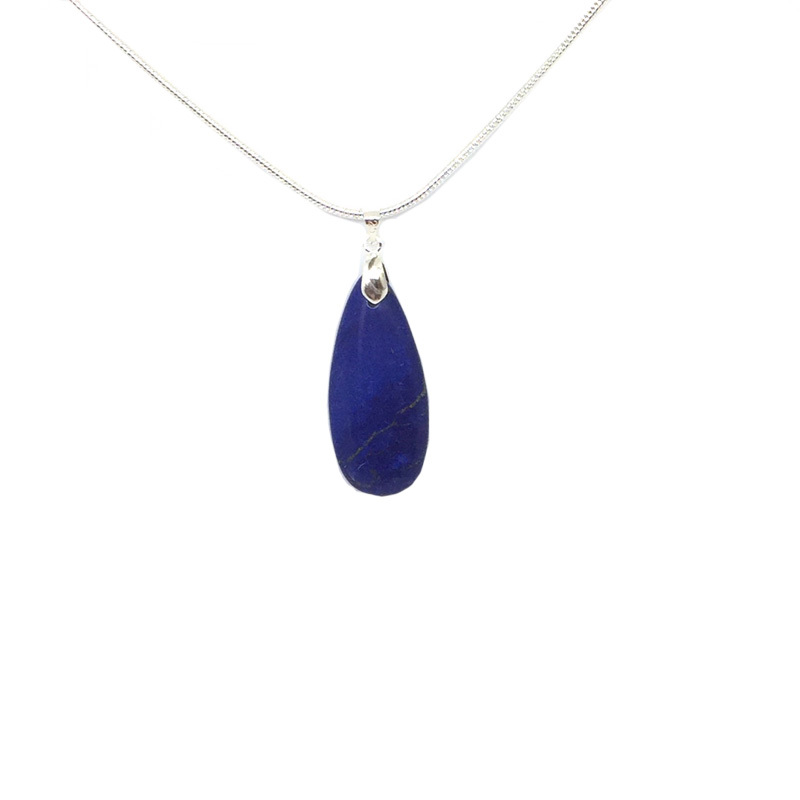 An elegant sterling silver lapis gemstone pendant that has been lovingly handcrafted in our studio as part of our 925 Silver jewellery range. It features a gorgeous lapis lazuli gemstone with gold patterned detailing and will make a perfect gift! This fabulous gemstone pendant measures approximately 18″ and is finished off with a quality sterling silver snake chain and bail. An elegant sterling silver lapis gemstone pendant that has been lovingly handcrafted in our studio as part of our 925 Silver jewellery range. It features a gorgeous lapis lazuli gemstone with gold patterned detailing and will make a perfect gift! This fabulous gemstone pendant measures approximately 18″ and is finished off with a quality sterling silver snake chain and bail. The lapis lazuli gemstone measures approximately 1.5″. Different chain lengths are available upon request – please contact us. Our Sterling Silver collection features a range of natural agate, sea jasper and lapis gemstones in two different chain lengths and an array of beautiful colours and patterns. Please note that as these are natural gemstones, colours may vary slightly.